A forum for discussing everything related to Asian composers, music theory, compositional process and notation. 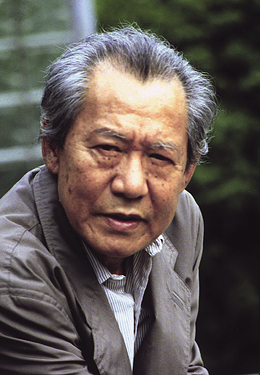 Isang Yun was born in 1917 in what is now South Korea, and died in 1995 in Berlin. He began composing at the age of 14 and briefly studied in Japan while still a teenager, but opposed Japanese occupation of Korea. When he returned to Korea he participated in the Korean Independence Movement and was imprisoned for a couple of years by the Japanese. After WWII, He established an orphanage for war orphans and taught music. After the Korean War, he went to Europe to study composition first in Paris and then in West Berlin. A few well-received premieres of his works in the mid-60s led to international recognition in avant-garde music circles. He is most famous, however, for being kidnapped by the South Korean government during Park Chung-hee's tenure in 1967. Very few in the US ever learn that of the four "Asian Tiger" economies, three were established by authoritarian anti-communist regimes (Chiang Kai-shek in Taiwan, Lee Kwan Yew in Singapore, Syngman Rhee in South Korea), and one was a British colony (Hong Kong). Yun was always a unficationist, and due to a visit he made to North Korea in 1963 he and his wife were captured in their West Berlin apartment by South Korean secret service and flown back to South Korea. Yun was made to stand trail for treason. In prison he was tortured, attempted suicide, forced to confess to espionage, and sentenced to death, which was later reduced to life in prison. A worldwide petition of 200 notable musicians, including Igor Stravinsky, Herbert von Karajan, György Ligeti and Karlheinz Stockhausen, led to his release two years later in 1969. He received German citizenship in 1971 and never returned to South Korea again, although he attempted for the rest of his life to organize a joint concert featuring musicians from both sides of the demilitarized zone. Yun is known stylistically for being one of the first to introduce East Asian instruments and musical concepts into modern, Western composition, although he may have thought he was doing the reverse, i.e. modernizing East Asian musical traditions with Western concepts. His version of post-serialism was called "main tone technique," by which he seems to mean a sort of "leitmotif" approach where the leitmotif stays the same while everything else changes around it. He wrote four operas and several choral works, largely utilizing Korean or Taoist themes or texts. One such work is dedicated to the memory of the Gwangju Massacre in 1980; another is titled "Naui Dang, Naui Minjokiyo" (My Land, My People), which is a setting to music of eleven poems by nine members of the South Korean opposition for orchestra, choir and soloists. He wrote a cycle of five symphonies in the mid-80s that are sometimes said to be a single work. They do not, however, seem to hold the same place as they would for a typical Western composer. He also wrote a large quantity of chamber music, including several concertos. 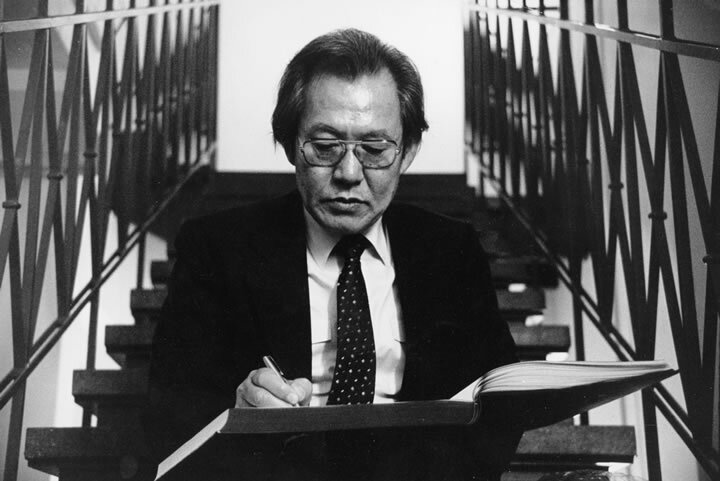 Isang Yun, a Korean-born German composer of powerful, kaleidoscopically scored chamber and orchestral works, died on Friday in Berlin, where he lived. He was 78. The cause was a lung infection, according to The Associated Press. Mr. Yun, who was admired among musicians for the inventiveness with which he combined Western and traditional Korean and Chinese musical techniques, became known outside musical circles in June 1967, when South Korean agents abducted him and his wife, Soo Ya Yun, from their West Berlin apartment. Because he had visited North Korea four years earlier, Mr. Yun was tried for treason and sentenced to life in prison. His wife was sentenced to three years as an accomplice. International pressure on South Korea -- including a formal protest by the West German Government and a petition from a large group of Western composers and performers, led by Igor Stravinsky -- led to the Yuns' release two years later. They returned to West Germany and became citizens in 1971. A second kidnapping attempt in 1976, during a visit to Japan, was thwarted by the composer's bodyguards. Mr. Yun was born in Tongyong, in what is now South Korea, on Sept. 17, 1917. He began composing when he was 14 and in the early 1940's went to Japan to study in Tokyo and at the Osaka Conservatory. But he opposed the Japanese occupation of Korea, and upon his return to Korea he joined an underground group, an act for which he was imprisoned by the occupation authorities. After World War II, he became a music teacher in Tongyong and later at Seoul University. His early compositions were performed and published (although he subsequently withdrew these), and in 1955 he won the Seoul City Award, which made it possible for him to pursue further studies at the Paris Conservatory, the Hochschule fur Musik in Berlin, and at Darmstadt. He remained in Germany, settling in West Berlin in 1964. In the music he composed during these years -- "Loyang" (1962) and "Reak" (1966), for orchestra; "Gasa" for violin and piano (1963), and "Garak" for flute and piano (1963) -- he drew inspiration from Chinese and Korean court music, blending exotic tone-production techniques with the angular Western style he had developed at Darmstadt. His style continued to evolve through the 1970's, when he was using what he called "main-tone technique," a method in which grand textures were woven around central melodic figures. And by the mid-1980's, the sometimes acerbic edges of his early style had softened. In recent works like "Distanzen" (1988), string and wind quintets play off each other, creating a magical shimmer that eludes stylistic classification. Mr. Yun also composed four operas on Korean and Taoist themes, as well as five symphonies and numerous vocal and chamber works. He is survived by his wife; a son, John Yun of California, and a daughter, Djong Yun of New York City.